The A10 Framework is a practical 10-step process designed to help marketers to Analyse, Plan, Implement and Assess their marketing communications strategy across the Paid, Owned, Earned and Technical channels (POET) at all stages of the sales funnel. What’s more it can be used for both online and offline marketing channels. 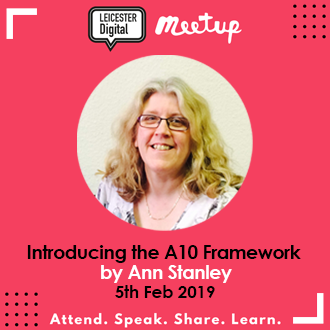 In this talk Ann will walk you through all stages of the process to give insight and feedback on how it can apply to businesses of all sizes and types. The Framework aims to provide longevity that will help businesses apply the same flexible logic to the regularly evolving trends of the POET channels.